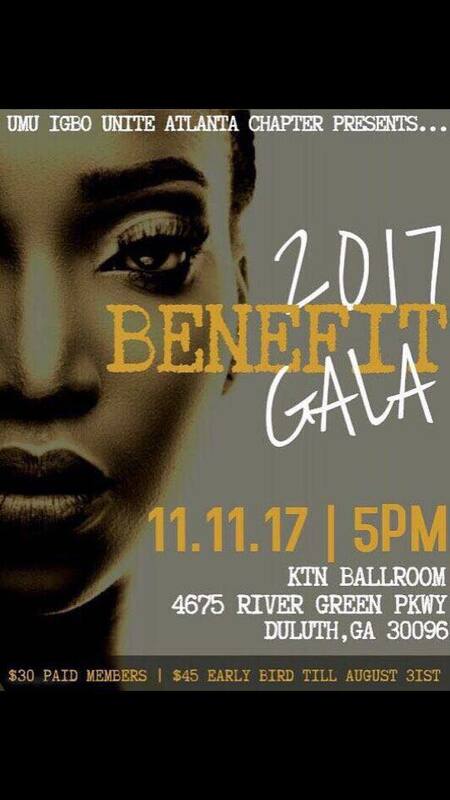 The Atlanta chapter of Umu Igbo Unite, an Igbo organization in the diaspora targeted towards Igbo professionals to promote personal, cultural and professional growth will be hosting their benefits Gala. The event which is aimed at raising fund to help alleviate some problems in Igbo land while celebrating the culture of Ndi Igbo. If you are in or around the city of Atlanta, don’t be left out in this great event, hurry now and get your ticket before it’s too late. If you wish to attend the event from any part of the world but haven’t bought your tickets or booked your hotel yet endeavor to do so before its late. Come and join Umu Igbo Unite Atlanta chapter as they celebrate the beauty and essence of Igbo culture in style. The event which will commence on Friday the 10th of November will go as follows.